Some Centres have already applied for and received their Service ID. If you have not done this yet don’t worry there is still time to apply to the Government for your Service ID. The Kindy Manager enrollment module will be activated in a few weeks, Centres planning to utilise this new feature will need their Service ID to be able to send and receive CSS Enrollments. To activate the KM Kiosk please contact KM Support on 07 5594 0519 a week before the going live. Don’t forget you can still download the KM Kiosk for your tablet or iPad and explore the system by using the demo data we have built in. To do this type in the word demo as the username and type demo as the password. For more details on the KM Kiosk in DEMO please click here. Here are some links from the Education Department you may find helpful. More information about the CCS can be found on the Department of Education and Training website. Is your Kindy Manager running at its best? With updates coming through more regularly we recommend Centres set aside a few minutes per week to perform a File Clean up. This will keep their program operating at optimal performance. We have created a set of easy to follow instructions to help operators through this process. 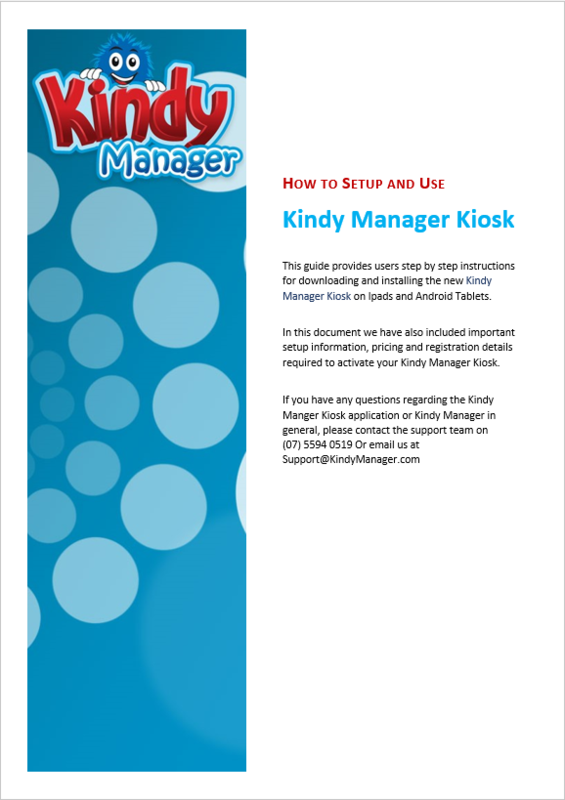 For Centres who are using or plan to use our new Kindy Manager Kiosk this little information sheet may be useful. The document contains 4 easy steps showing the Parents how to use the Kiosk. Please feel free to download, print and display this on the wall above or near your KM Kiosk. KM Kiosk Demo available NOW! Would you like a free demo of the new KM Kiosk ? 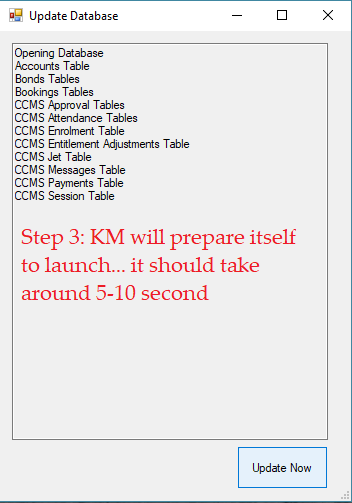 For the Centers who plan to use the KM Kiosk or if your Center is undecided and would simply just want to take a look. The KM Kiosk is available for download from the Google Play Store and the Apple Store. Click here for Google Play Store or for Apple store click here. To access the Demo function Simply type in demo as the Username and demo for the Password. This will enable you access to the system using demo data we have created for this purpose. KM Kiosk is the sign in and signs out app for your Childcare Centre. 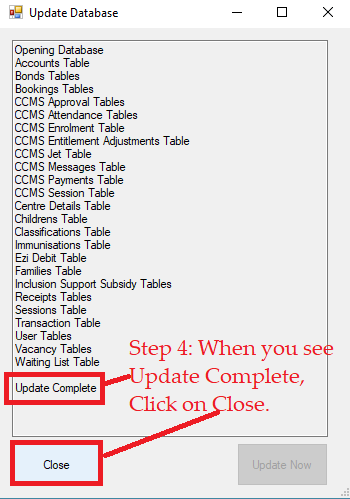 Not only is it compliant with the new Australian Government CCS system (2018), but also it is fully integrated with your Kindy Manager software. If you have any questions, comments or concerns, we’d love to hear from you on 07 5594 0519 or send us an e-mail on support@kindymanager.com. 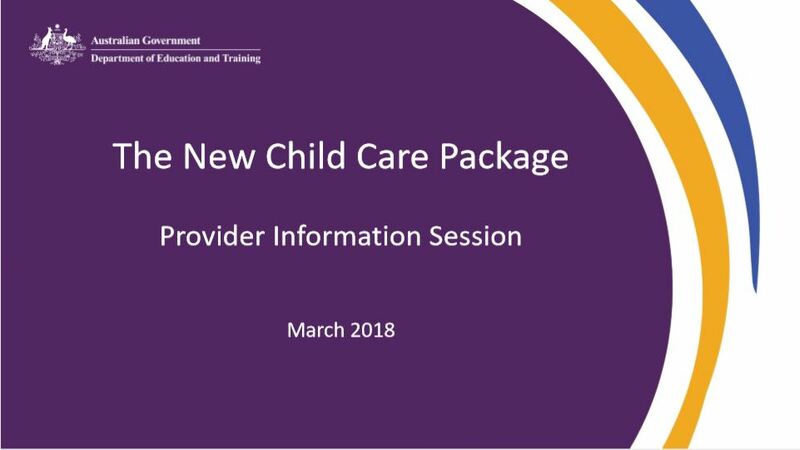 The Department of Education and Training have released handouts from their recent “Provider Information Session” featuring information on topics such as the New Child Care Package; the Child Care Subsidy; Activity Test information; Key Legislative changes; Enrollments and Payments; as well as other important topics and some resources you mind find helpful. We have made this document available for download from our website alternatively you can download it directly from THIS LINK. 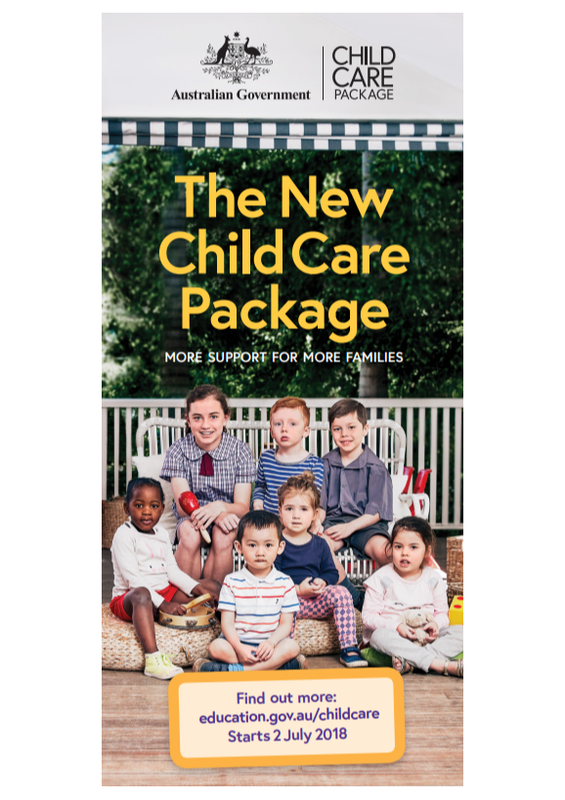 For both Parents and Centers it’s time to become familiar with the new Child Care Package arriving on the 2nd July. If you have not already started your research the link below is a good place to start. 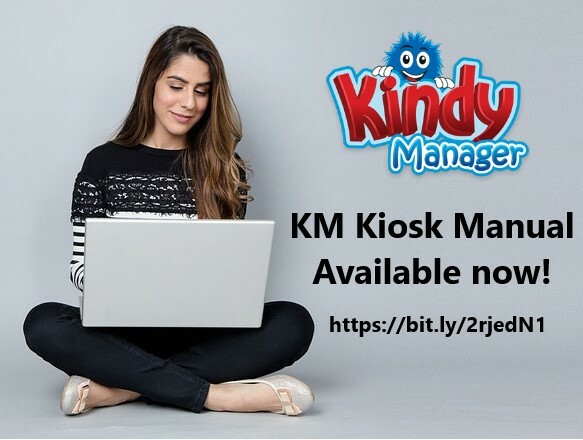 We are currently trialing the new Kindy Manager Kiosk and will be contacting those Centres that have registered their interest for the one month free trial (from previous newsletter). For Centres who plan to use the Kiosk you might like to download our “Getting Started Guide” to get familiar with the initial setup. If the direct link above does not work for you the Guide can be downloaded from our website by going to the Downloads section and sliding down the page to Extra Downloads. 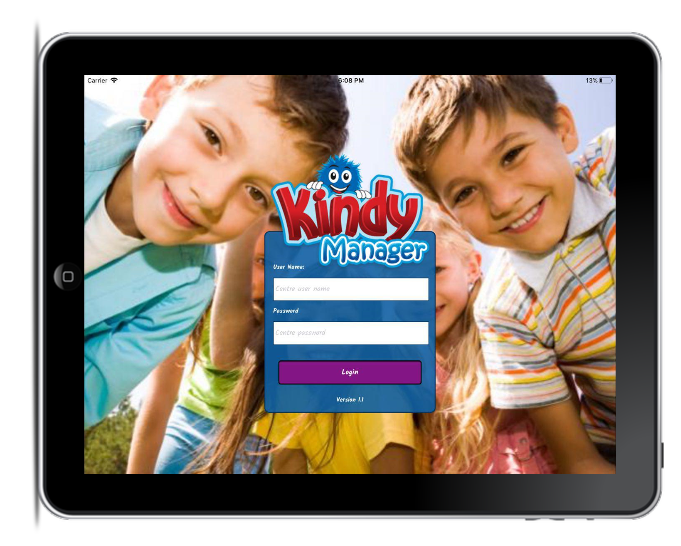 Your Kindy Manager Kiosk ipad or tablet will need to be secured. You may find these links helpful in locating a suitable stand for your Kiosk. 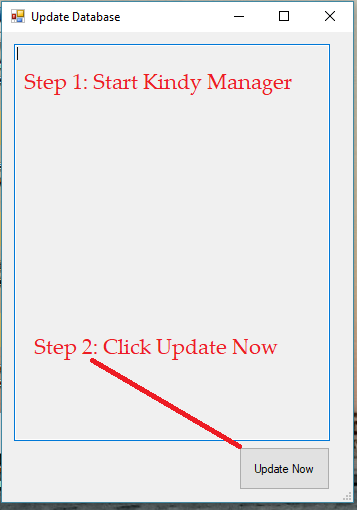 Updating your Kindy Manager to the latest version is important for many reasons. 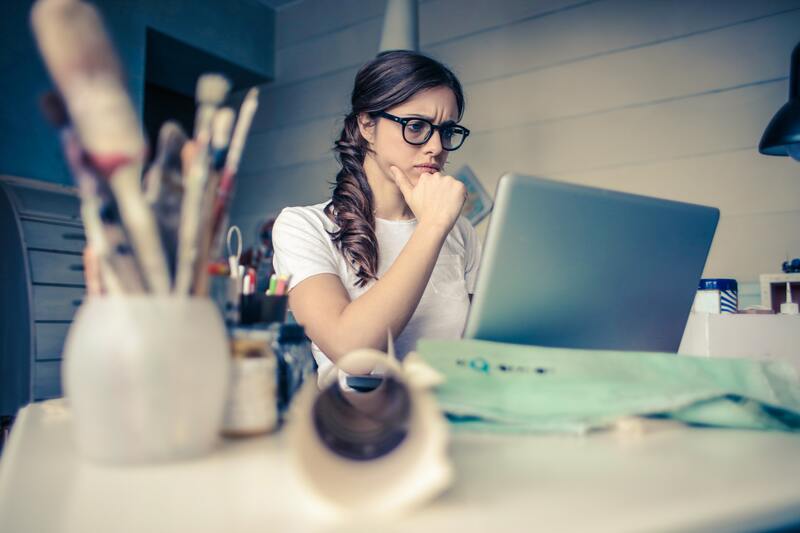 Not only does it insure that you have the most up-to-date features, but it also makes sure that your software is able to run in the best way possible. Moreover, with the Kiosk option almost ready (don’t forget to register to try out one month free here), more and more updates are being released for compliance purposes. This is why it’s important that you check our website’s update section regularly. 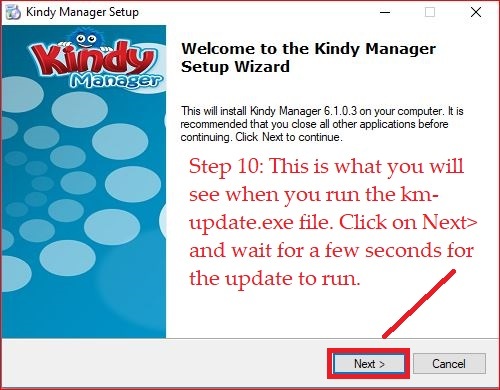 In this tutorial, we will be covering how to check if your Kindy Manager copy is up-to-date and how to update it if it’s not. Note: If you have a network administrator who takes care of your updates, you can forward this e-mail to them if there is a difference in the version number. In the end, you can make checking for updates part of your weekly routine. 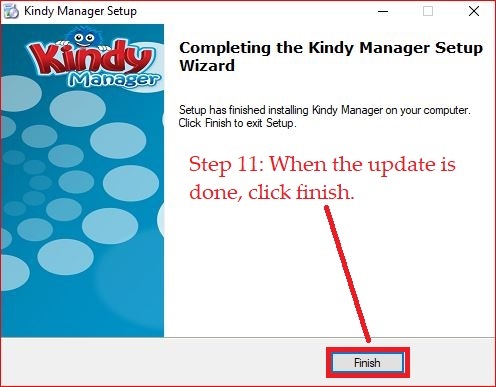 Every Monday, before you start working on Kindy Manager, check to see if a new update had been released over the weekend.